Escape Margaritaville right in the center of Universal Orlando CityWalk in Orlando FL. From a volcano flowing with margaritas to suspended airplanes Margaritaville is more than a restaurant; it's a state of mind. Margaritaville has everything you need to have a good time: great island-inspired food four unique bars live music and two levels of outdoor seating overlooking CityWalk. House of Blues Orlando opened in 1997 and is located in Downtown Disney West Side. The famous water tower which founder Isaac Tigrett spotted on a train ride through the mid–west stands over 100 feet tall and is a recognizable landmark to the Downtown Disney promenade. Guests at the House of Blues Orlando are treated to the artwork of Mr. Imagination including his famous Arch. Planet Hollywood at Downtown Disney® West Side Walt Disney Resort is located adjacent to Disney's Pleasure Island and a ``Must Do`` while in Orlando FL. 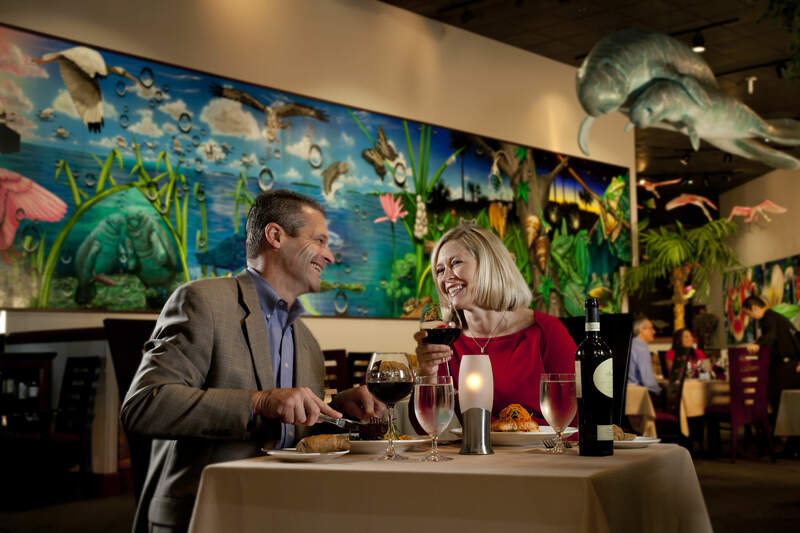 Continue the magic of Disney while enjoying flavorful cuisine surrounded by some of the world's most famous Hollywood movie memorabilia. Wonderful food. Passionate hospitality. Great atmosphere. Commitment to excellence.Wolfgang Puck Cafe is a vibrant restaurant that showcases the casual dishes that made Puck famous- eclectic pizzas- vibrant salads and homemade Austrian classics. Eat drink and dance your BLUES away! The music is fun upbeat and timeless. B.B. King’s Blues Club offers four full-service bars and a full menu complete with a variety of Southern comfort food fused with flavors from around the globe. 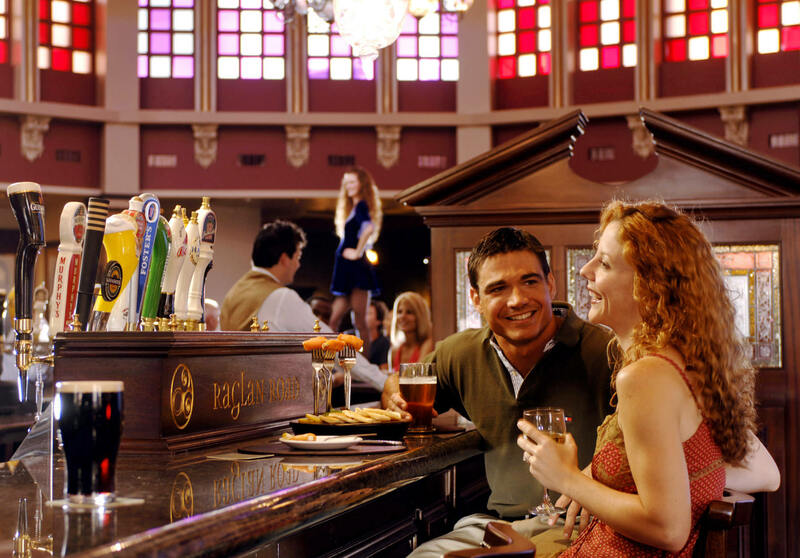 Jellyrolls at Disney's BoardWalk Area at Walt Disney World Resort is a lively piano bar with dueling pianos and audience sing-alongs for Guests 21 years of age and up. Let the good times roll at Jellyrolls! Enjoy a genuine Irish meal complete with its own unique twists and a dash of Celtic creativity.Spirit inside this authentic Irish pub and indulge your tastes in hearty meals cold pints and nightly entertainment. Japanese robatayaki. Made new. Friends around an open hearth. Fresh selections from farm and sea. Grilled slowly. Authentic. Contemporary. Always enjoyed.Everything fresh. Our reputation rests on the creativity of every dish and drink. We find joy in every meaningful connection. Looking out on International Drive in Orlando with its modern hotels bustling Orange County Convention Center and popular tourist attractions it may be difficult to remember that you are in the center of the Sunshine State. Hemingway's fishing expeditions from “Cayo Hueso” to the coast of Cuba are portrayed in many of his writings. The culture and cuisine of these areas are where we find our inspiration. Hemingway’s is home to many of “Papa’s” favorite dishes and soon some of yours. 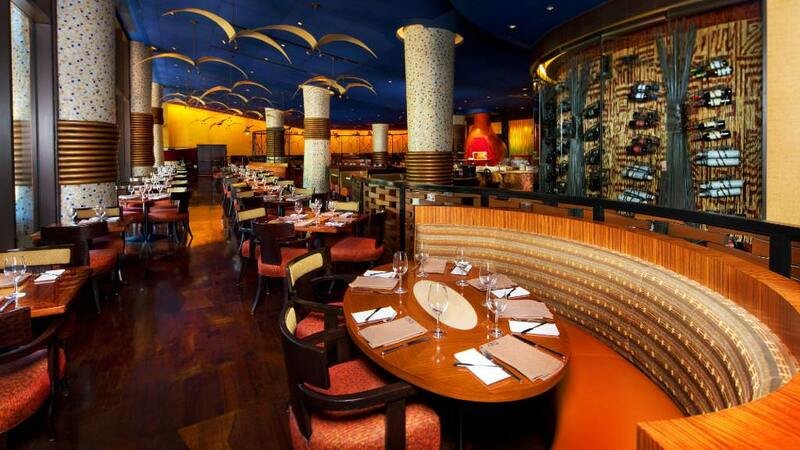 Discover a delicious blend of traditional African Indian and Mediterranean cuisine. Steak- chicken- seafood- vegan and vegetarian dishes are infused with a uniquely bold blend of tantalizing flavors and fragrant spices. Featuring Fresh from Florida beef Prime Spencer's cut dry aged for 21 to 28 days hand cut and seared to perfection.Sophisticated and approachable.Offers a memorable Orlando dining experience with handcrafted dishes- scratch made cocktails and a distinctive destination wine list. 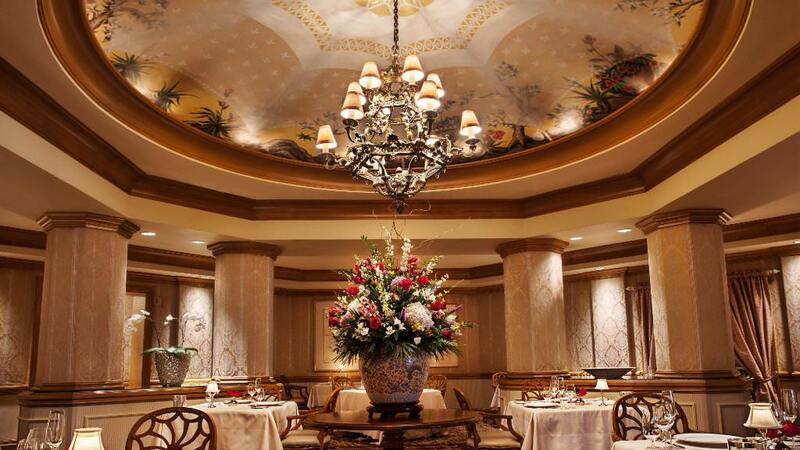 Innovative cooking impeccable service and opulent décor captivate the senses at this intimate-award-winning oasis.Classic Victorian elegance meets haute American cuisine at this AAA Five Diamond Award® recipient since 2000. Since 1984 Kobe has been delighting diners with our fun and unique Teppanyaki dining experience. You and your guests will be dined and entertained as our skilled chefs prepare your dinner right before your eyes. Choose from our wide array of succulent seafood and premium steaks that we carefully select for quality freshness and taste. This magnificent restaurant opened in 1997 in Disney Springs at the Walt Disney World Resort in Orlando a metropolis of fun! The building's Old Havana architecture is dominated by a massive pineapple-shaped adobe structure that fills the skyline of Disney Springs.